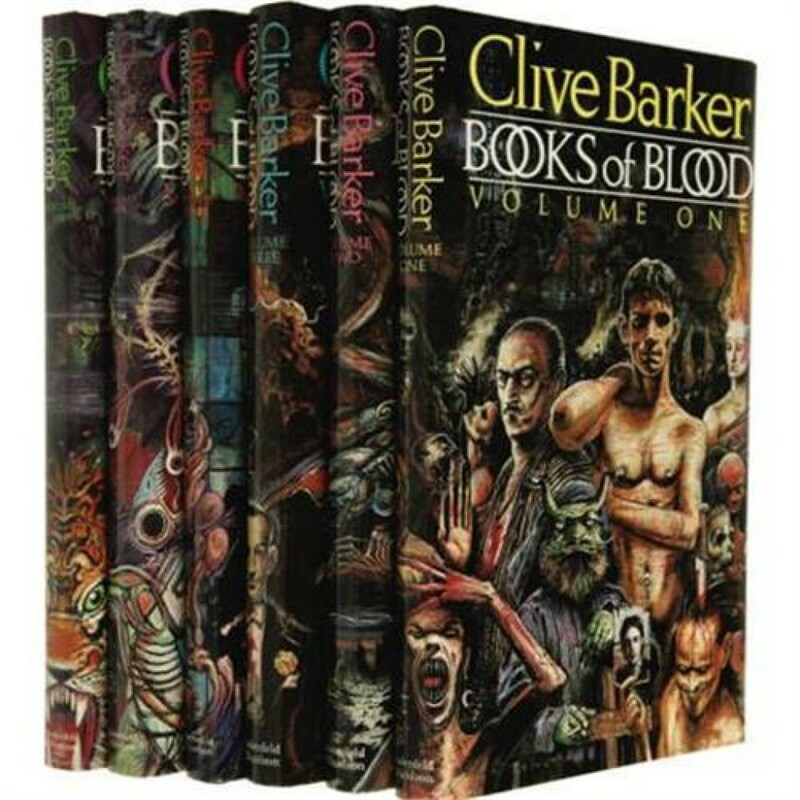 This month ScifiNow’s Book Club is talking about Clive Barker’s “Books of Blood.” Barker’s “Books of Blood” series is comprised of six books and ranks as a favorite amongst horror fans all over the world. Gory and gruesome, this collection of horror fiction has been developed into several films and cost many a reader countless sleepless nights. Stephen Sampson, aka “The Dark Inker,” was asked to re-imagine a cover for one of these creepy books and his image resonates exceedingly well with Barker’s horrific tales. 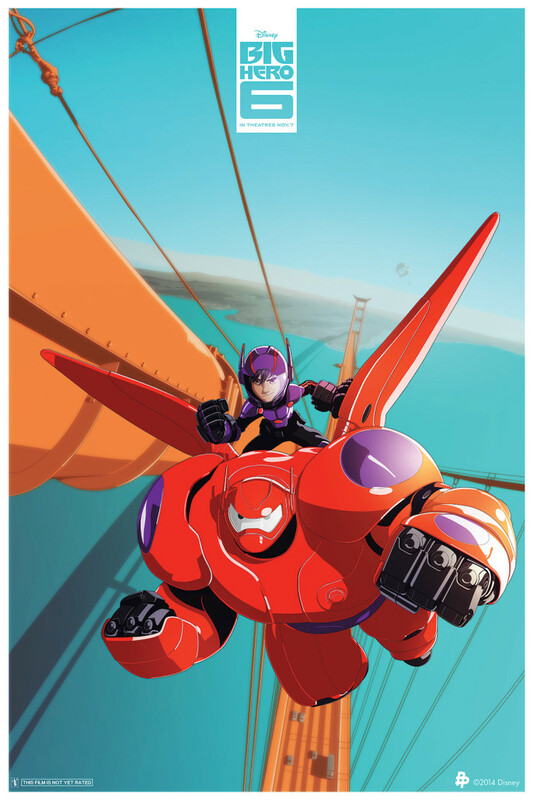 SciFiNow interviewed Sampson and got inside the mind of this talented artists. SciFiNow – Tell us about your background as an artist. Where did you study and how did you get in to digital art? Stephen Sampson – As a kid I was always reading and drawing comics, I did go to Chelsea Art Collage but only did a year as it just wasn’t for me. For a few years I worked as a sheet metal working, before going freelance as an illustrator. Then almost by accident I found myself illustrating comics for 2000AD. It was only when I moved into the games industry a few years later that I started working digitally. I did find it hard to begin with but as time has moved on I’ve really got into it and to be honest almost everything I do these days is digital. SciFiNow – How would you sum up your style? And how has this developed over the years? Stephen Sampson – This is always the trickiest question for me to answer, I don’t really spend much time these days trying to analyse my own work. I had a period when I seemed to always want to work in the style of whatever artist I was into at the time, but I think I just got to busy and really tried to focus on doing whatever it is I do as good as I possibly could. I find it much more interesting to hear what “tags” other people put to my style. We spoke a bit about this over emails and I really liked your description of my style, which was “liquid”. I think that when you work day in and day out and are surrounded by everything that inspires and influences you, your “style” just develops and changes as the things that move you develop and change. SciFiNow – What have been your favorite projects to work on so far? Stephen Sampson – This one is like trying to pick your favorite movie or song, it will change depending on a given time and mood! I really am not someone that looks back much, whatever I’m working on at the moment is always the most exciting. But a few “stand outs” are working on Judge Anderson with Alan Grant from the comic days, more recently my first image as a Poster Posse member which was for our Guardians of the Galaxy drop last year. My first screen print for Hero Complex Gallery’s “king for a Day” show which was art inspired by the work of Stephen King, I did a Gunslinger print. And a couple of things I just finished which are all “hush” Hush” a slip box illustration for a Blu Ray release of a cult horror movie and an official t-shirt design for another cult horror movie. SciFiNow – A lot of your work is based on popular culture, what attracts you to this kind of work? Stephen Sampson – I think it’s just a major part of the world we live in, surrounded by comic’s, books, toys, games, movies, posters, it’s hard not to be inspired and influenced by all of it. And it’s fun to interpret and do your “take” on popular culture, just as much so as working on your own original ideas. SciFiNow – Are there any dream clients/collaborators you’d love to work with and why? Stephen Sampson – As a comic artist I always had a soft spot for Daredevil and Elektra, so an official comic cover of one or both would be a dream come true! 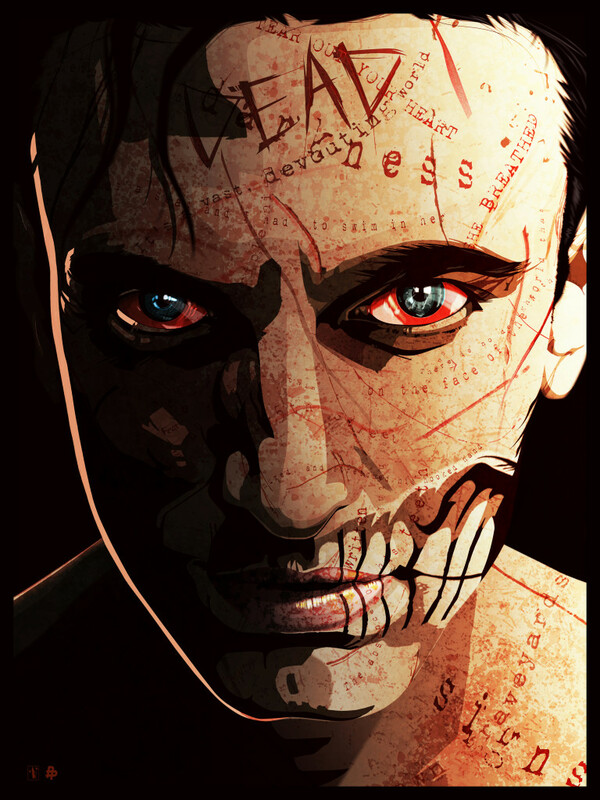 Also to work on an official poster design for anything connected to Guillermo Del Toro would be high on my “hit list”! And having just finished illustrations for both an official slip box Blu Ray and this magazine I’d love to do more of both! 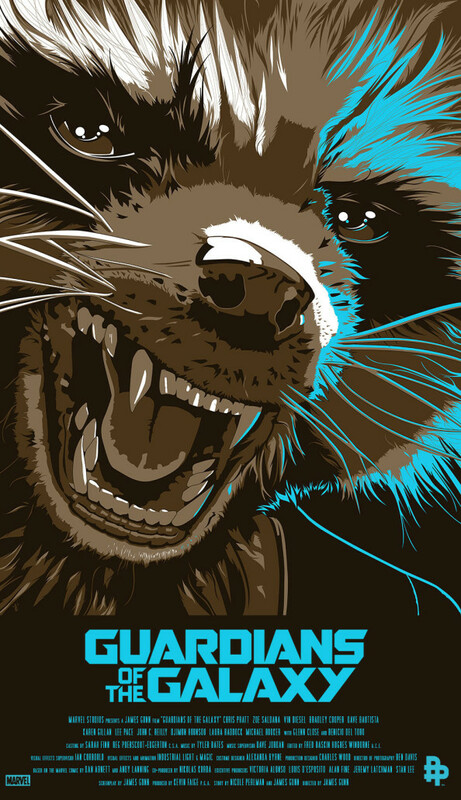 Gig posters would also be cool to work on! SciFiNow – What is usually the most challenging part of a commission? Stephen Sampson – Meeting the clients expectations while still staying true to what you believe will work best for the commission. I think you have to be prepared to understand what the client is after in the hope that they have come to you because they have seen your previous work and have some faith that you will deliver what they are after. This project for example for me worked so well, we both had a similar idea for the piece and the direction and feedback kept things moving in the right direction, finishing with something that hopefully we are both happy with! SciFiNow – What is your process? Are you a ‘tight’ sketcher of ideas or does it start loose and come together digitally? Stephen Sampson – Well it’s kind of a bit of both, I am a “tight” sketcher when it comes to the rough concept sketch, which by the way is also done digitally. I like to “block” out as much as I can to give the client a good idea of where I’m going, but then I do like to just go with the flow when working up the final artwork, while still staying close to the agreed concept. 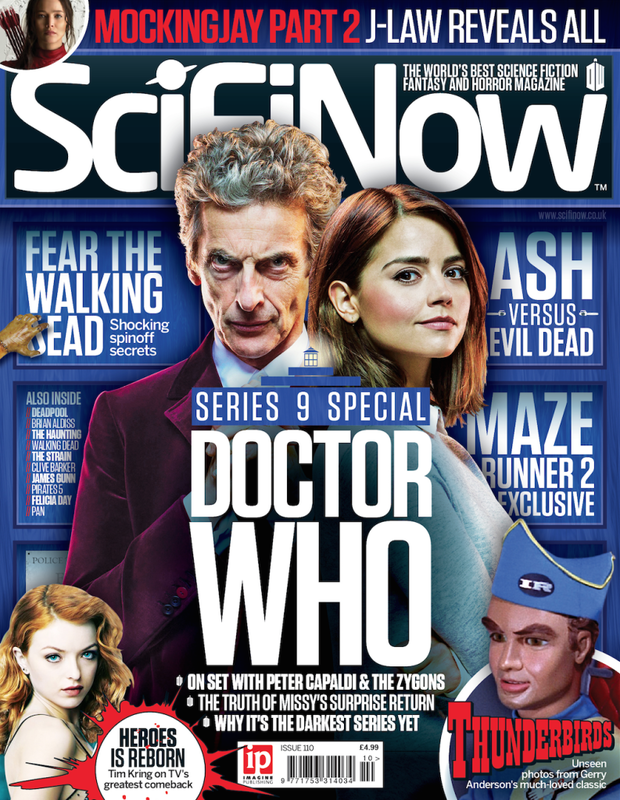 SciFiNow – What programs/tools can’t you live without? Stephen Sampson – Without question, my Wacom Cintiq, I’ve been using for for a few years now and it’d just the bestest thing ever!! Recently upgraded to the 27QHD and it really is a dream machine!! From sketching to painting and even vectors, can’t imagine life without it! I have a soft spot for Illustrator but over the years my love affair with PhotoShop has grown and grown. Would love the time to get into a few other programs, like SketchBook Pro and Manga Studio but for speed and ease PS is the go to guy! SciFiNow – What would you say separates you from other artists? Stephen Sampson – I think it’s just the way the stuff I do comes out in the mix, we are all inspired and influenced by the same world. It’s just how we use that to create what we do that makes us different. Being a member of the Poster Posse has connected me to some incredibly talented artists from all over the world, and that has just shown me that we all have the same hopes, worries, passions, and self doubts, but being able to chat and get feedback has been such a blessing since I joined. SciFiNow – What advice would you give to yourself if you could travel back in time to the start of your career? Stephen Sampson – Don’t worry so much! Keep focused and working hard, things will turn out better than you ever imagined! If I’d known that all these years later I’d still be earning a living doing what I love the most then that would have been more than I could have ever asked for! SciFiNow – What would be your three key tips or pieces of advice for artists trying to start a career? Stephen Sampson – Wish I had something new and clever to say here, but really, stay true to your dream, work as hard as possible. Practice as much as you can and with a little luck you will get to where you want to be. One other thing, don’t always turn down the jobs you don’t fancy, one of then just might open a door to something amazing! SciFiNow – Anything you are working on/upcoming that you would like to plug? Stephen Sampson – Man, got a load of stuff I can’t talk about but also have a few private commissions going to print soon for Goodfellas, Blow and X Files –Fight the Future. Also lots of cool and amazing Poster Posse projects to come for the rest of this year, one of which will be a dream come true!. And a few very exciting shows with HCG, plus fingers crossed something “special” with them real soon! Can I just finish by saying Big thanks to Don and Rebecca at Posse HQ and you, Marcus and the crew at ScifiNow for putting this really cool, fun collaboration together! Here is a look at Stephen’s image that can be found in this month’s edition of SciFi Now, (Issue #110). As an added bonus, Stephen has put together a fantastic video showing just how he works. Be sure to follow Stephen on TWITTER for updates on new projects and collaborations. 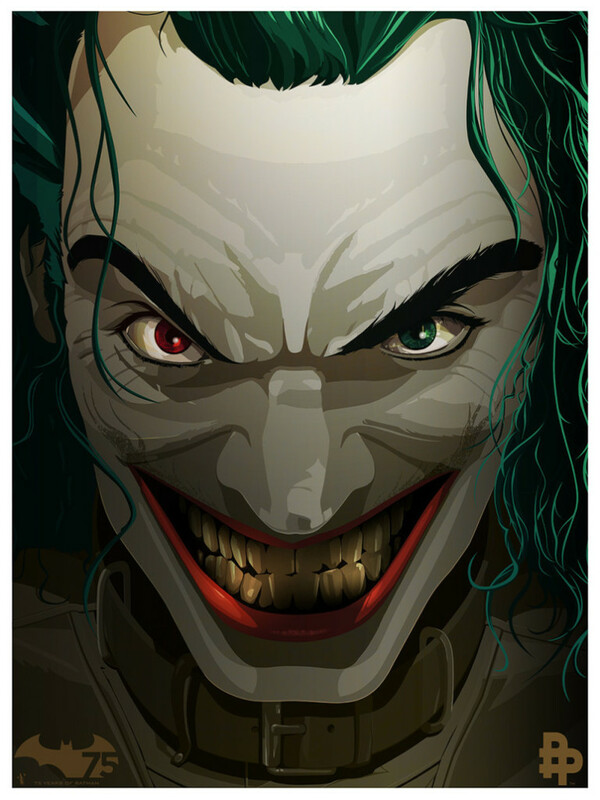 Take a jaunt over to his OFFICIAL WEBSITE to see more of his fantastic work.